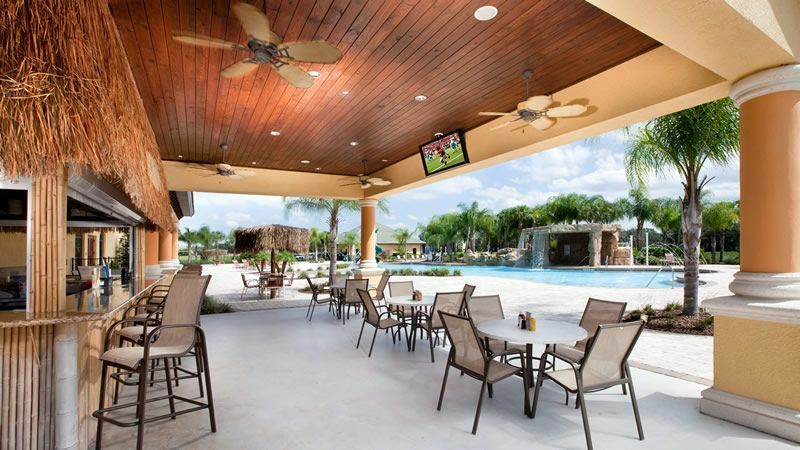 Golf Zoo customers will feel right at home at the spectacular Paradise Palms vacation community in southwest Orlando. 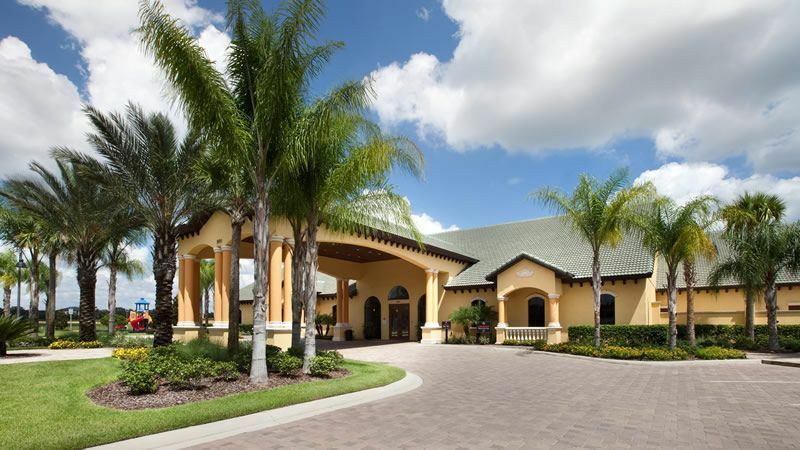 Enter through the gated entrance that is surrounded by fountains and lush landscaping that leads down a tree-lined boulevard to the fabulous clubhouse or your luxurious town home or private rental home. The Paradise Palms four and five bedroom town homes provide professional interior design and luxuries to ensure your comfort - high-end furnishings including upgraded beds, flat-screen TV's, digital cable, stereo system in living area, fully equipped kitchen with granite countertops and dining area. Each town home also has a private, heated splash pool (heating optional) with a covered lanai surrounded by a privacy wall. Five or Six bedroom private rental homes are nicely appointed and many homes have a private swimming pool/spa. At the luxurious clubhouse guests can enjoy a large "Tropical Oasis" lagoon pool with two spas - one located in a delightful covered "grotto" setting. 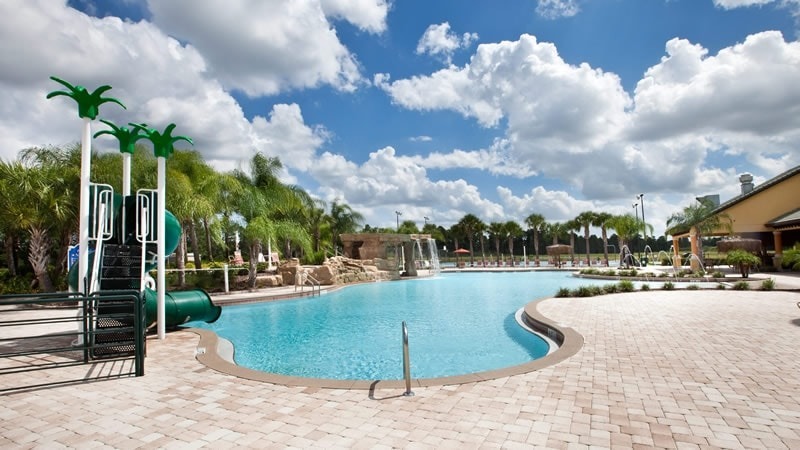 Sit and soak in the sun around the pool while sipping a beverage or enjoying a snack from the Tiki Bar. 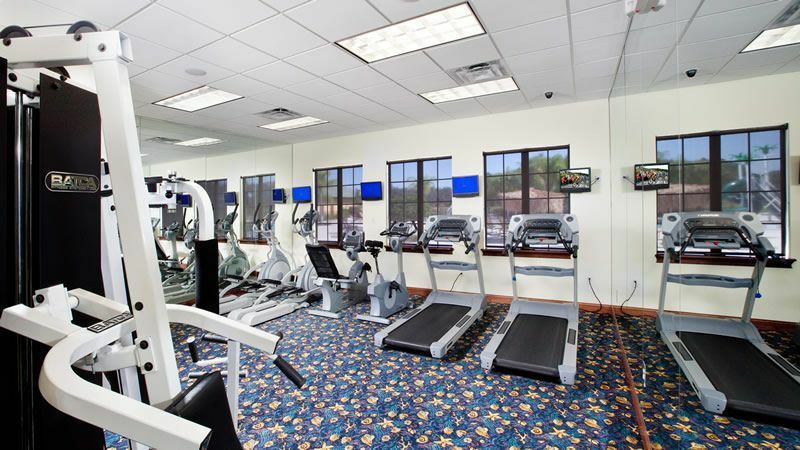 If you want to exercise, guests have access to the fitness center, tennis courts, basketball court and volleyball pit if golf doesn't take all your energy. After the day's rounds or workout, guests can soothe muscles in the sauna and steam room. Inside the clubhouse, guests can enjoy a movie in the 50-seat cinema, or play a game of pool or a video game in the large game room. 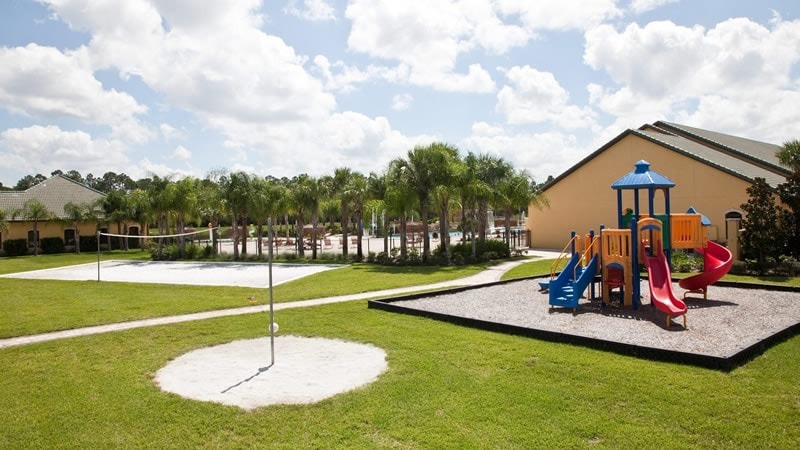 Great accommodations, comfortable amenities and convenient to great golf courses, top restaurants and entertainment, Paradise Palms is close to all you come to Orlando for!